It’s with heavy hearts that Mountain West Credit Union Association announces the passing of Susan Brayman. She was a long-time credit union leader and pioneer, epitomizing what credit unions stand for – serving people. Sue began her credit union career with the Colorado Credit Union League in 1973 and rose through the ranks to executive vice president. Sue holds the distinction of being the first woman vice president of a League in the country. She directed the growth of the Service Corporation to a $14 million organization that was nationally known for its business excellence. Sue also lent her expertise at the national level leading several committees and initiatives for the American Association of Credit Union Leagues (AACUL) and the Credit Union National Association (CUNA). 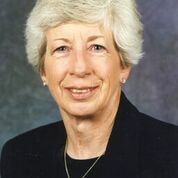 Sue retired from the League in 1999 but stayed actively involved in credit unions as a member of the Bellco Credit Union Board of Directors and through other consulting projects. She is the namesake of the MWCUA Foundation’s Brayman-Beach scholarship, an $5,000 award given annually to a student who is a member of a Colorado-based credit union seeking a business degree from a four-year accredited institution.